With the demand of finely made exotic footwear increasing rapidly, there are some signature brands that should always be considered when making an exotic shoe purchase, Mauri shoes is one of them. For over 50 years, Mauri has been furnishing the world with some of the most striking and impressive exotic skin shoes and boots known to man. 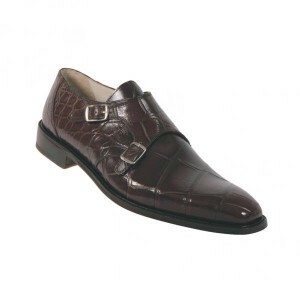 From their factory in Italy, Mauri chooses only the finest leathers, from crocodile to alligator, ostrich, and eel. They then commit these fine materials to their extensive production process which ultimately leads to the refined and finely sculpted end product that is a Mauri shoe. The unique aspect of the Mauri collection is the marriage of timeless and classic footwear, with urban, loud, and defiant styles. Each season’s collection speaks like a commentary on where shoes have been for years, and where they are going and can go in the future. With Mauri you will find the classic lace up oxfords in fine exotic leather and beautiful rich colors. You’ll also find bold and brash sneakers, made of the same fine exotic skins, but emboldened with fine details such as Mauri’s signature metal logo attachments and bright colors. Come see for yourself, and take a look at our new Mauri styles. If you love exotic footwear, enter the world of Mauri with us, and see what truly fine Italian handmade exotic shoes can be.